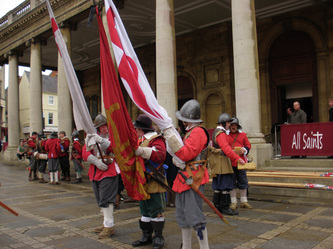 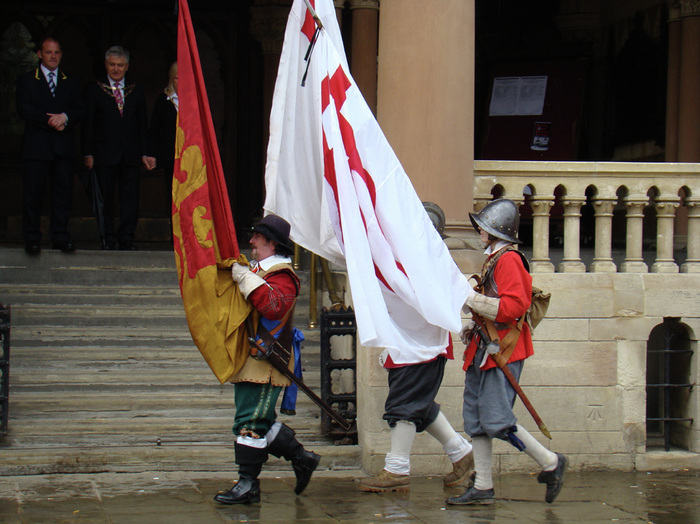 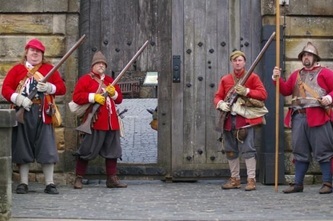 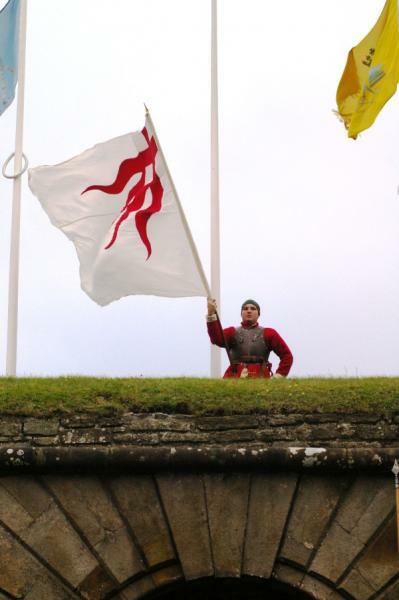 Hammond's with very gratefully received assistance from Lord John Robarte's and Lord Saye & Sele's Regiments presented themselves on parade to mark the last 350th Anniversary Event - The Restoration of the Monarchy in 1660. 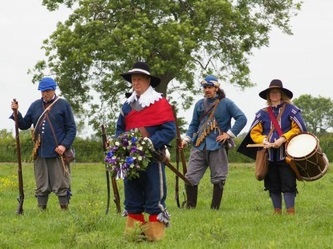 To thank all members that turned out, Hammond's had a commemorative medal struck to say thank you to their fellow members of the Sealed Knot. 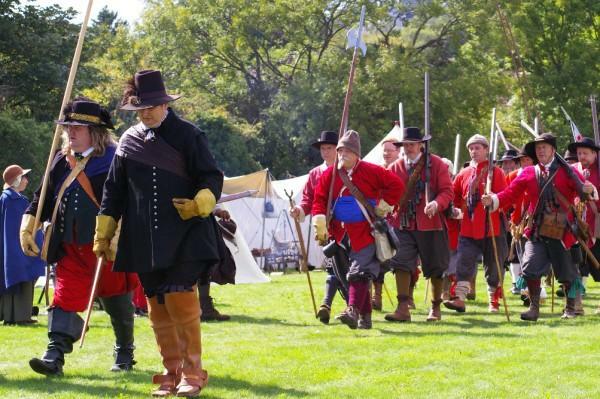 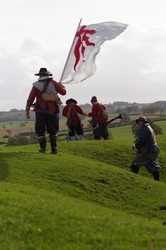 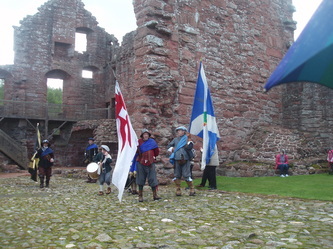 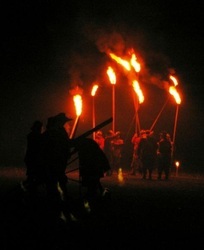 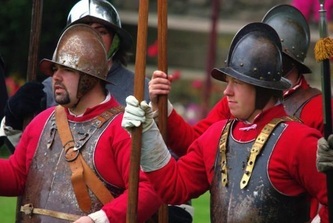 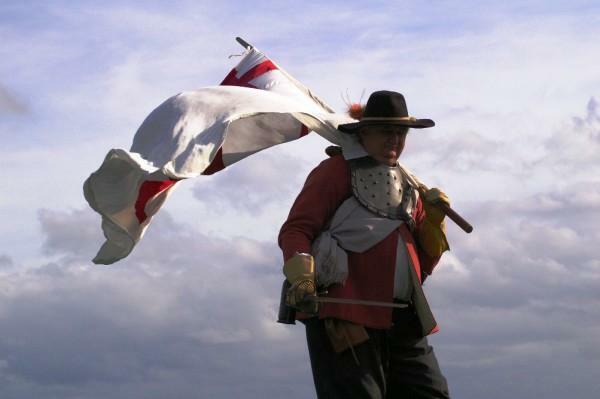 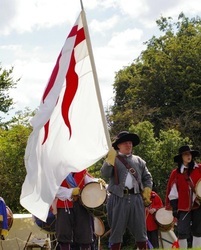 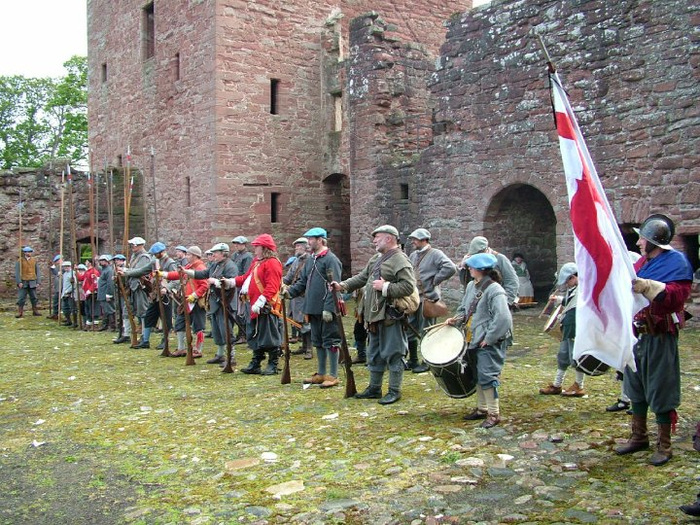 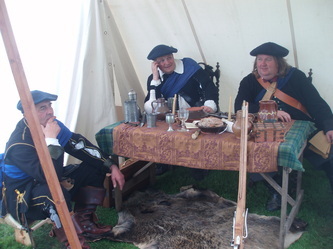 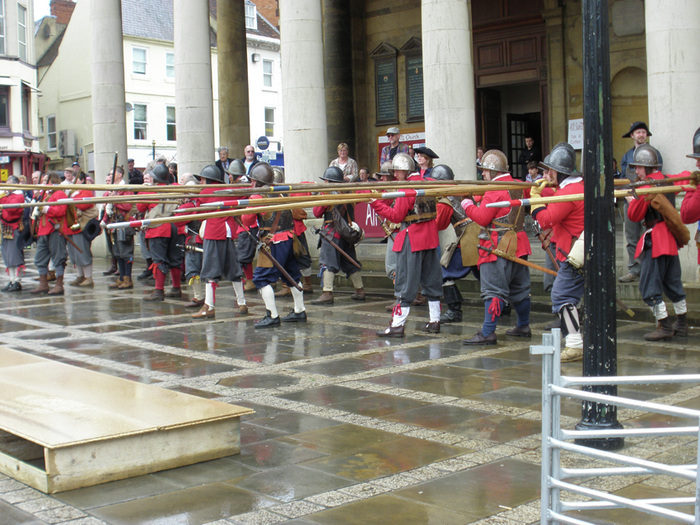 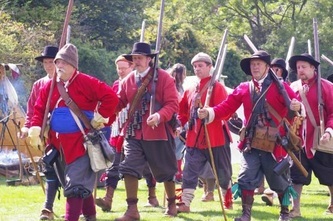 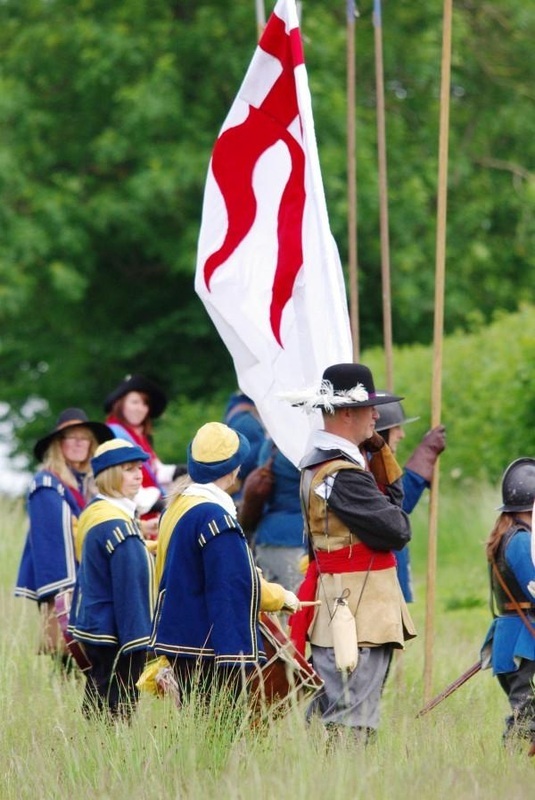 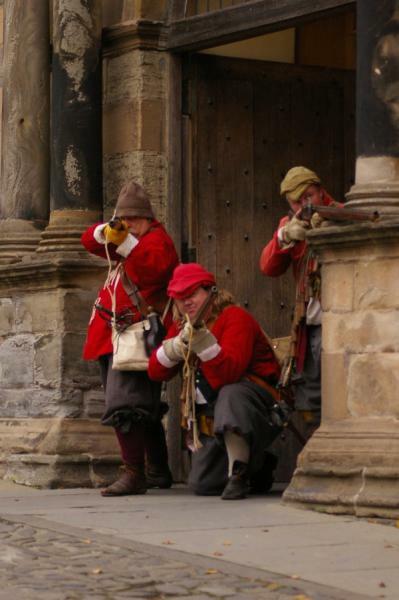 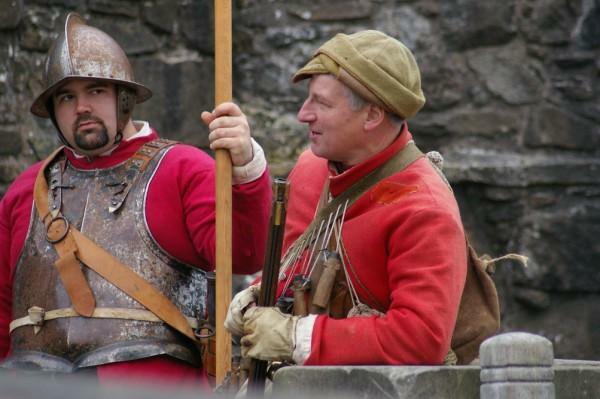 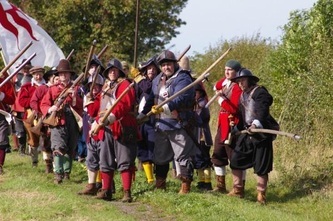 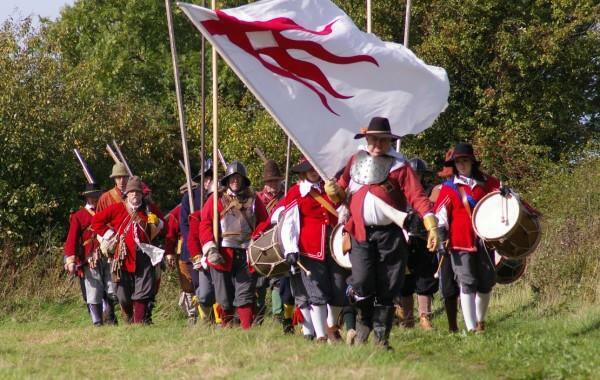 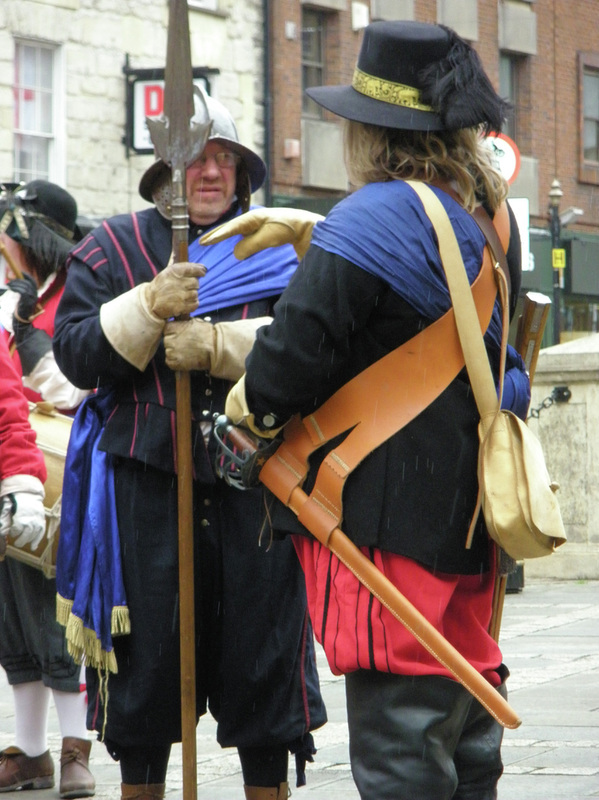 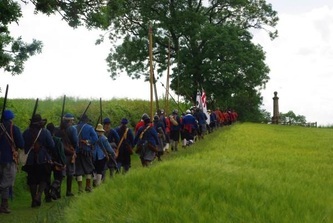 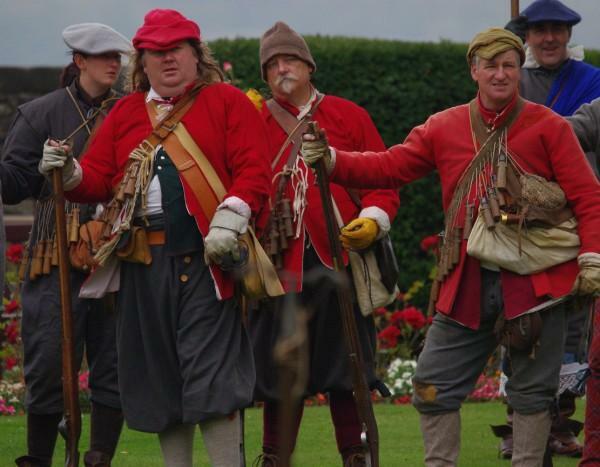 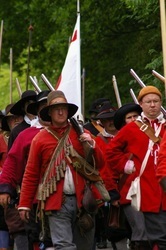 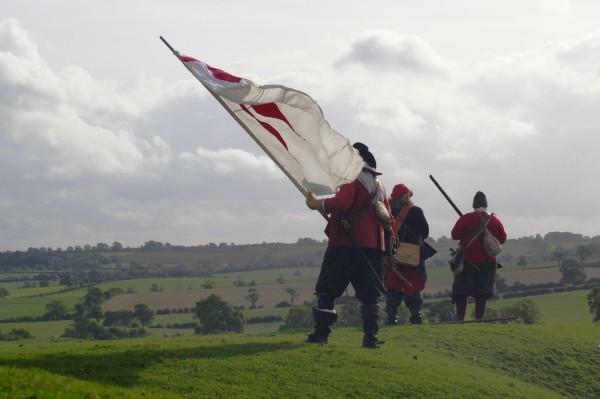 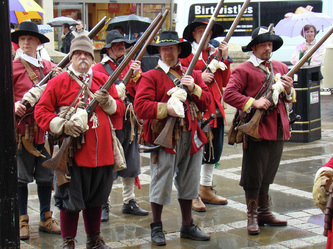 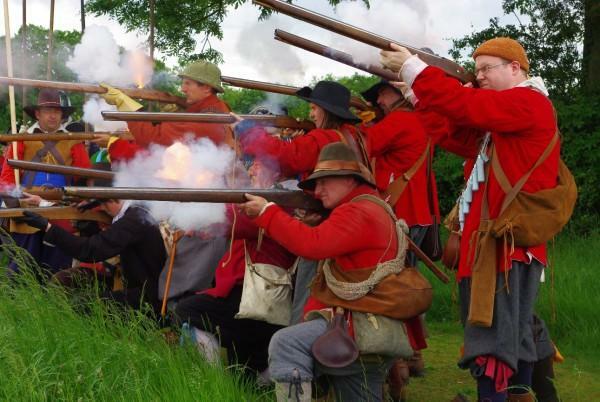 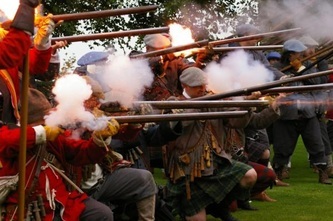 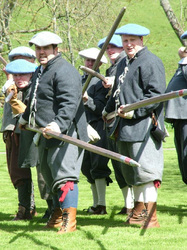 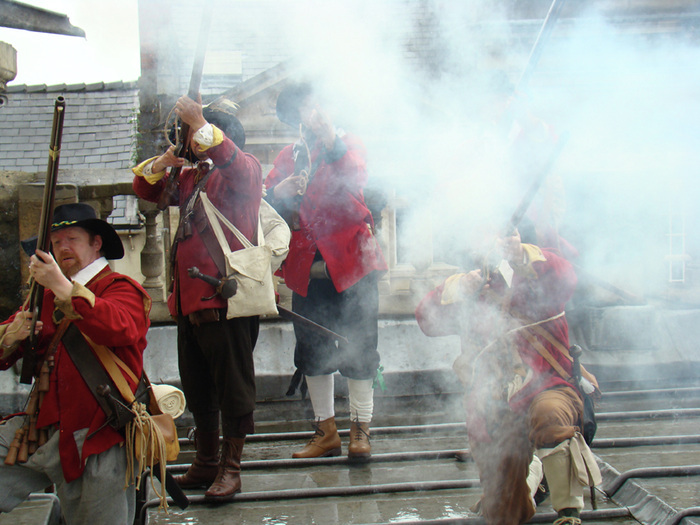 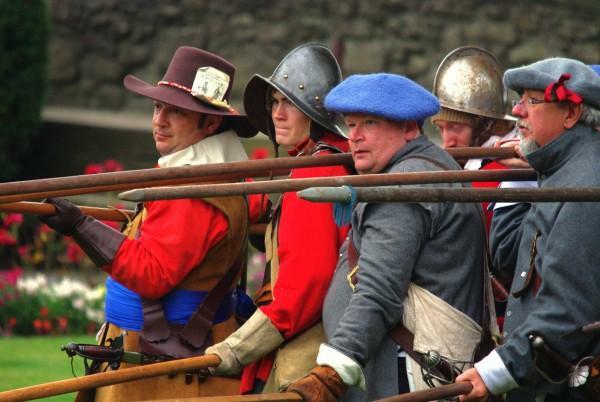 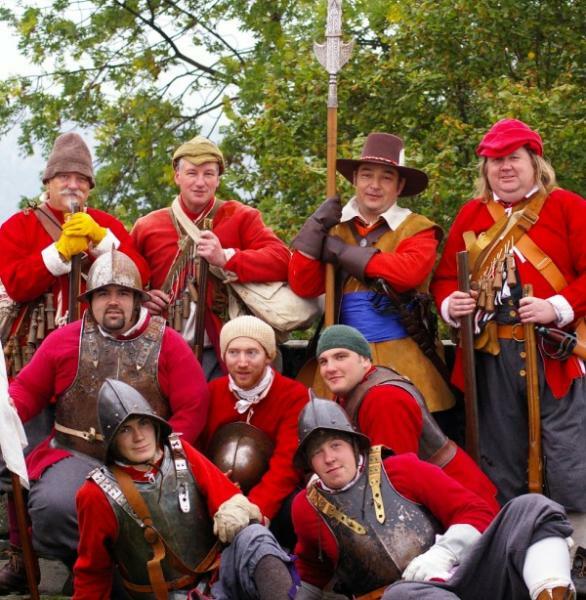 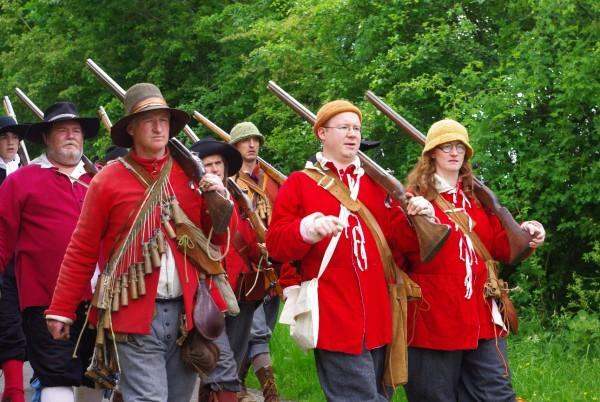 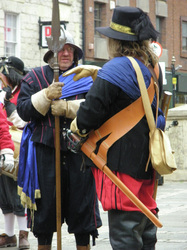 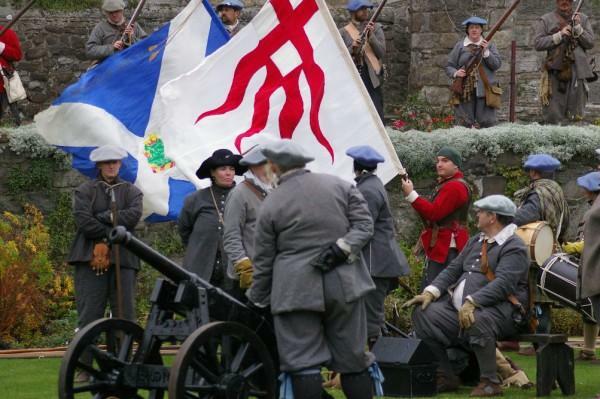 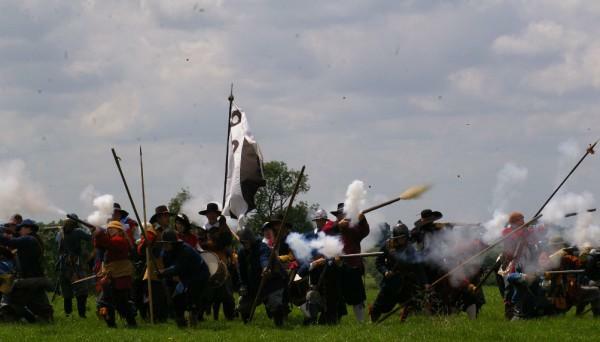 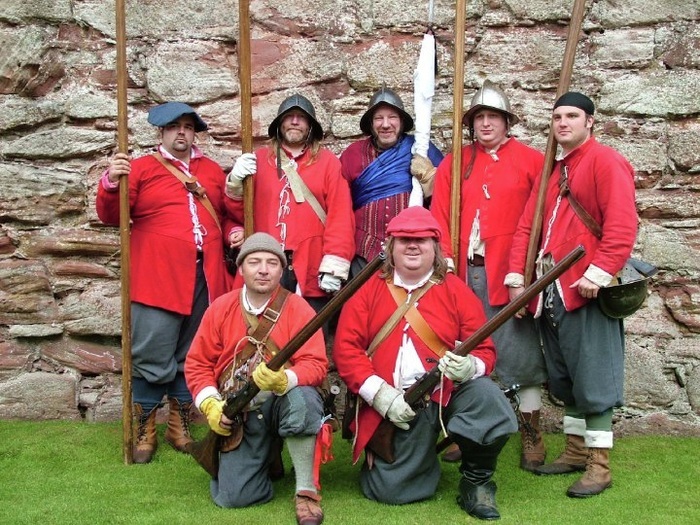 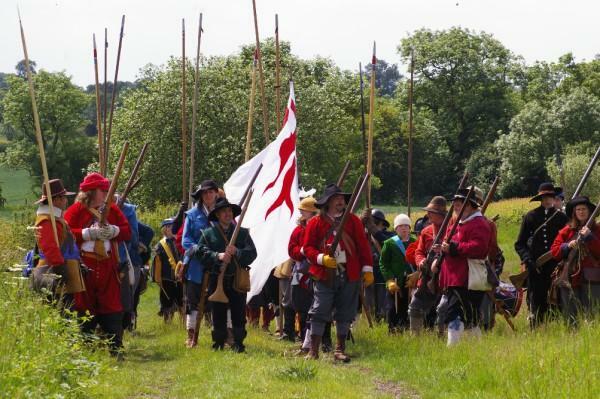 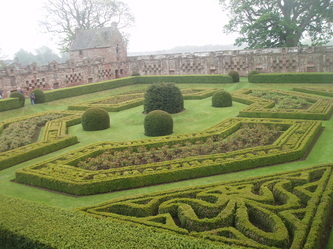 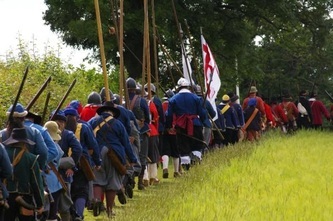 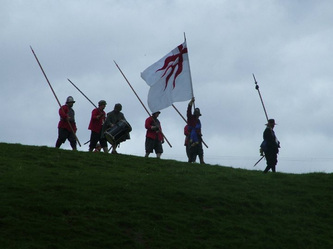 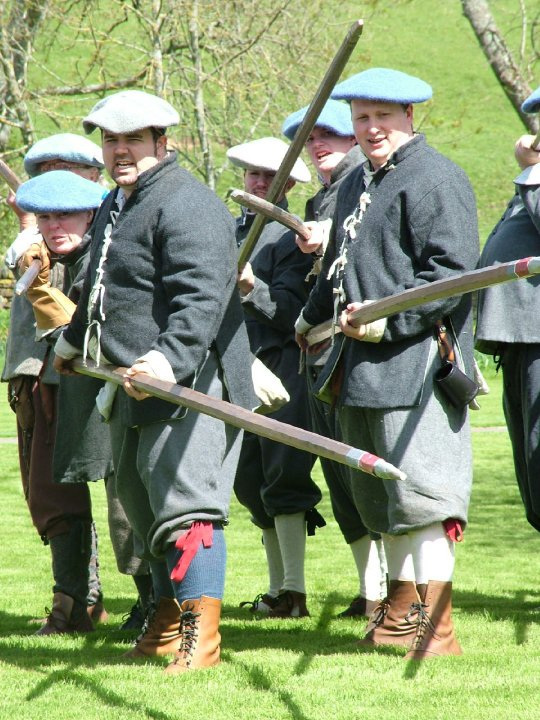 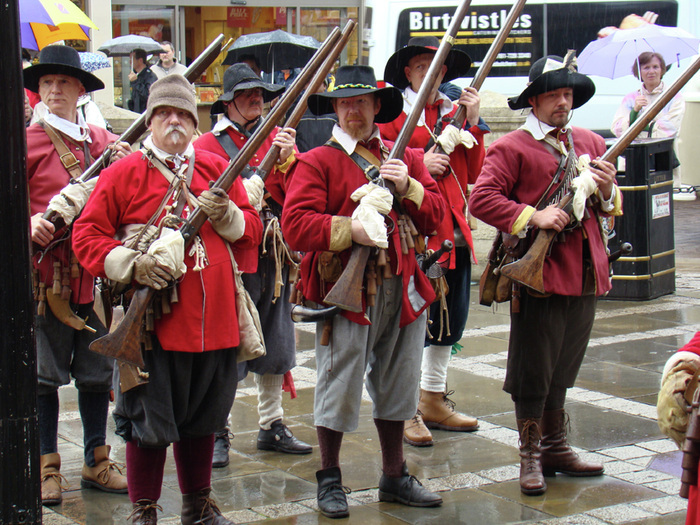 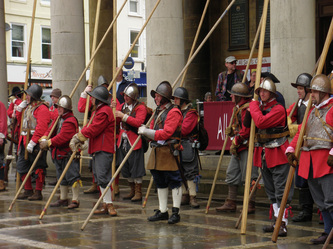 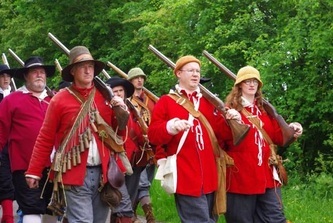 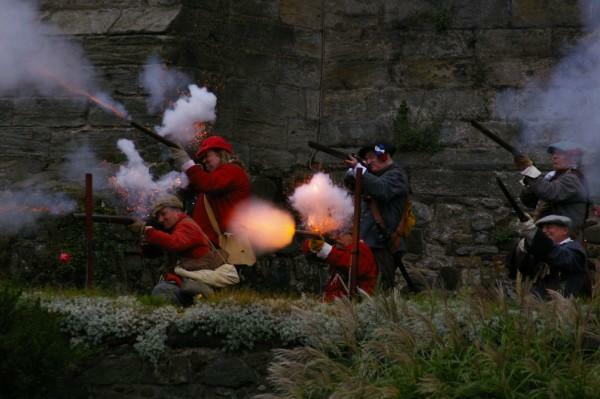 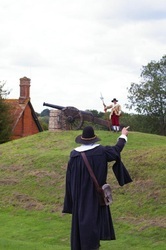 Hammond's organise the Naseby Memorial March every June to remember the fallen of the battle on the 14th June 1645. 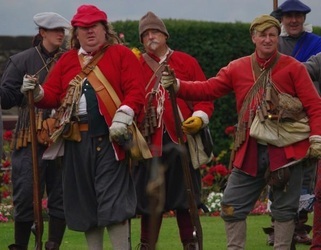 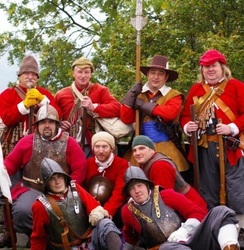 This year we had a great turn-out from our own troops and were joined by a large party of Prince Rupert's Blewcoats, who came and shot muskets through Sulby Hedge, laid a wreath in memorial of their regiment which was destroyed on Dust Hill during the battle, and we laid a wreath for all of the fallen at the Cromwell Memorial. 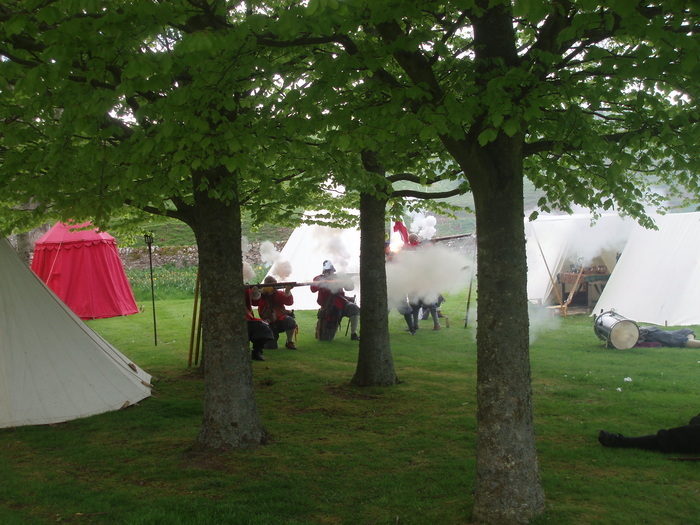 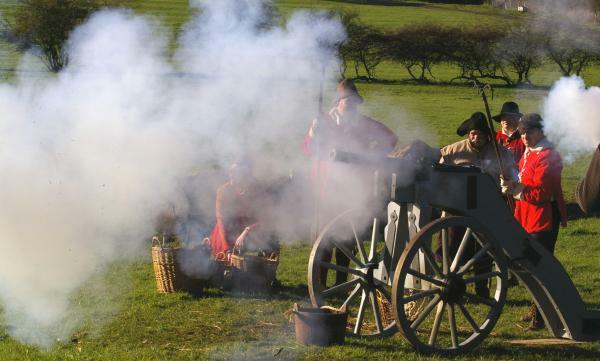 Hammond's were asked by the Naseby Battlefield Project if they could support the BBC by filming our very own Sweaty Betty being fired. 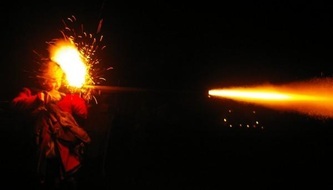 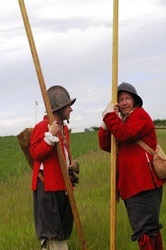 As they don't often get much of the lime-light the artillery guys were only too pleased to get involved. 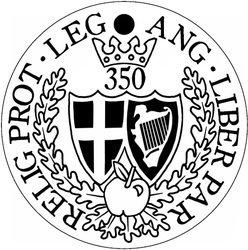 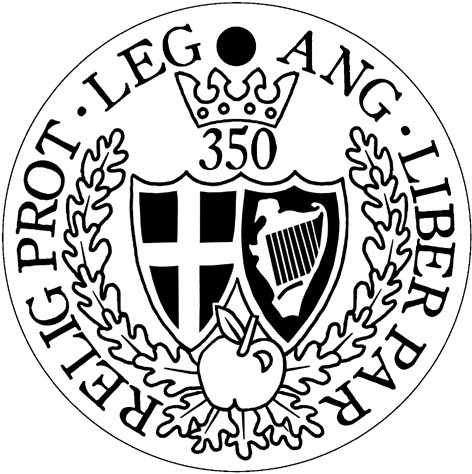 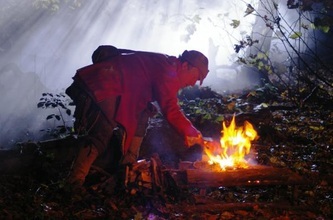 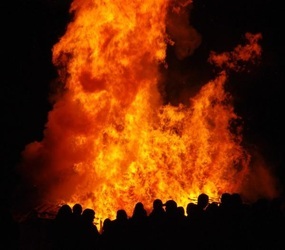 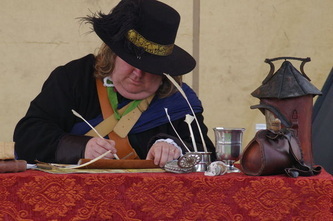 The series which will broadcast in early 2011, is about the King James Bible published four hundred years earlier in 1611, and will feature Sweaty Betty! 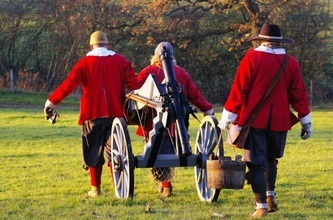 As ever, Hammond's acted professionally providing the shots required, some musket firing and even some voice recordings reading sections of the 'Soldiers Catechism' - a shortened version of the bible used in the Civil Wars. 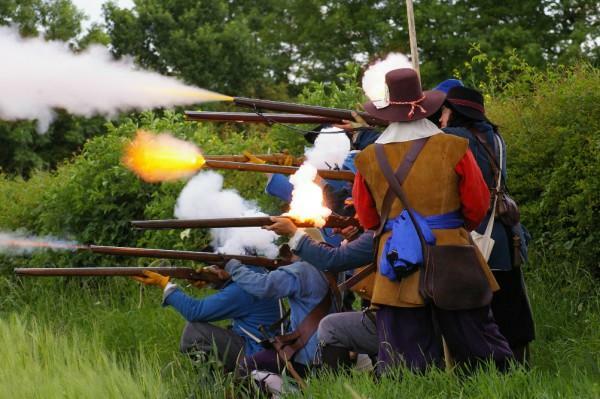 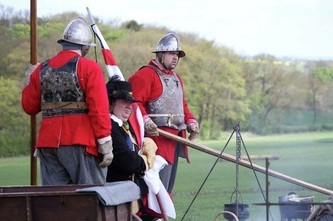 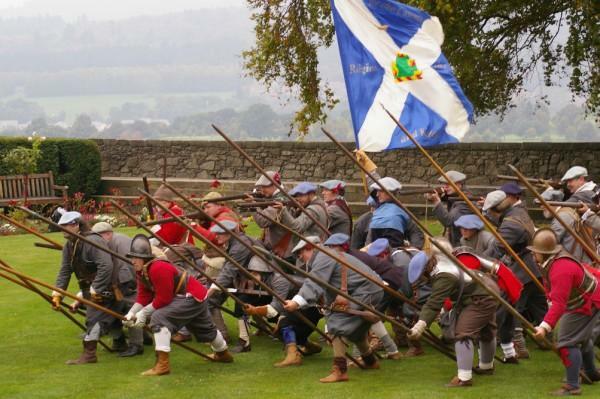 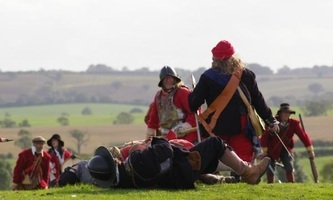 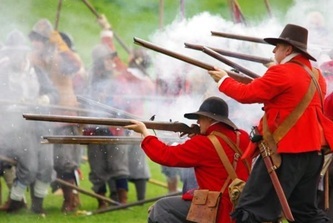 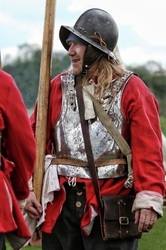 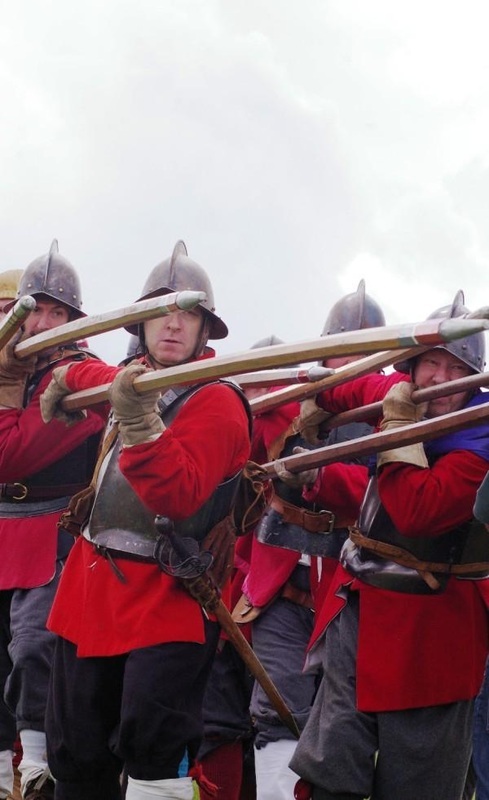 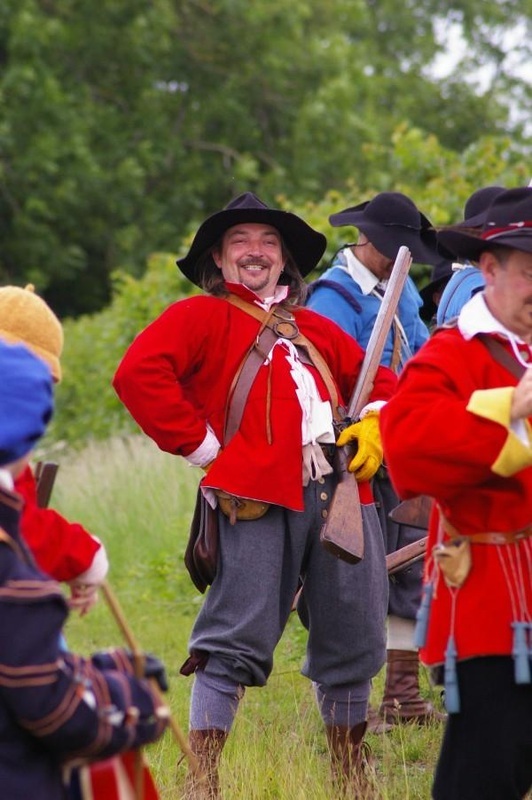 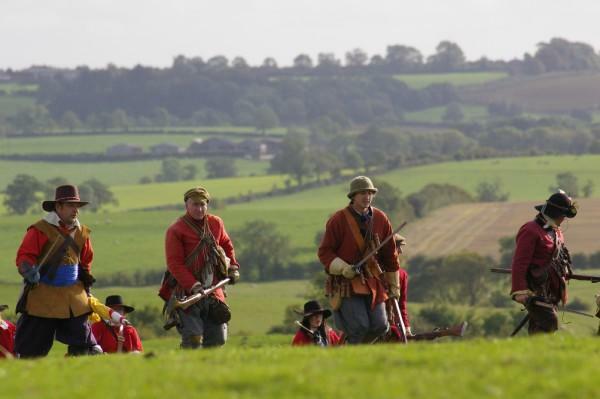 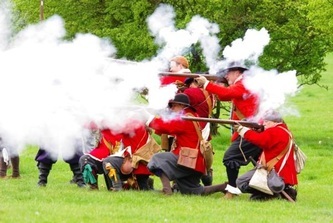 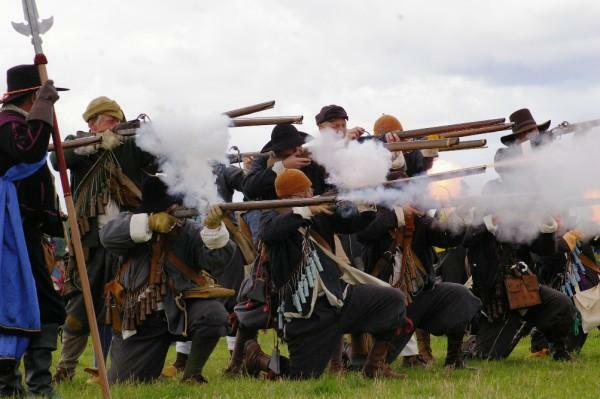 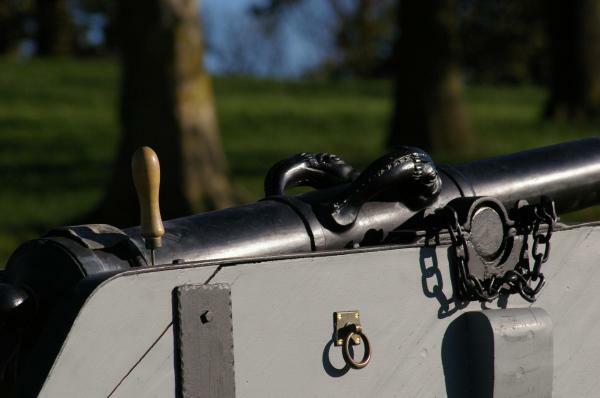 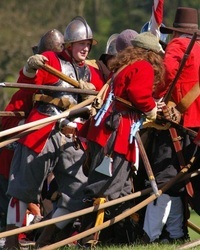 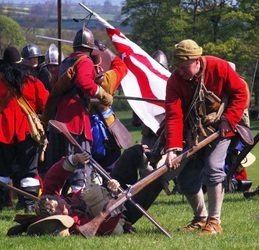 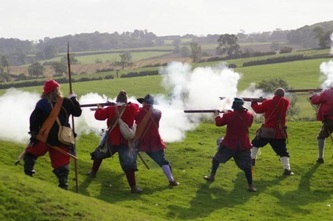 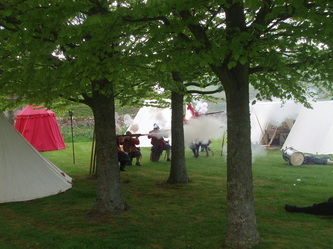 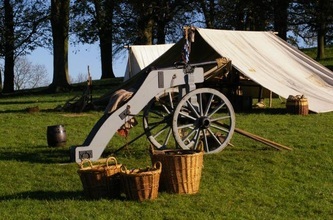 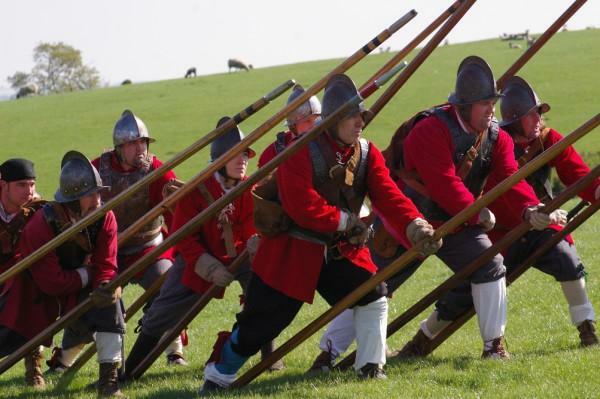 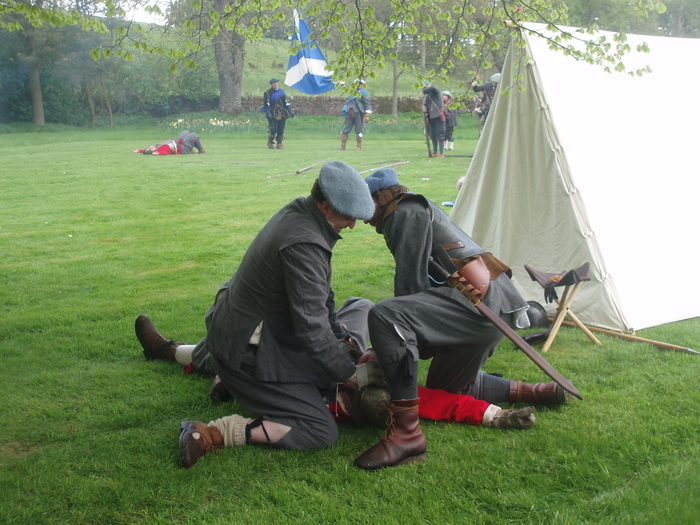 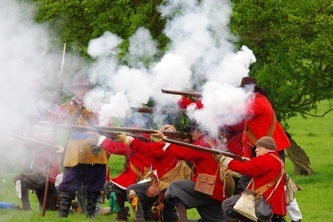 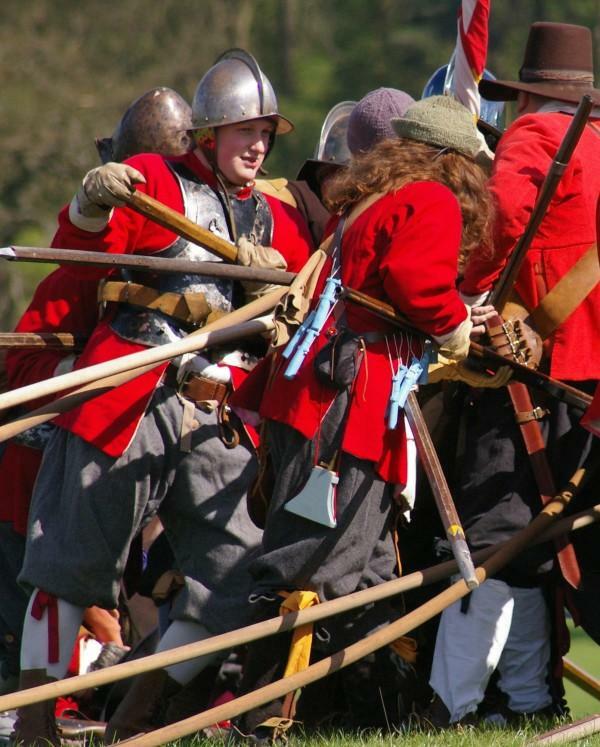 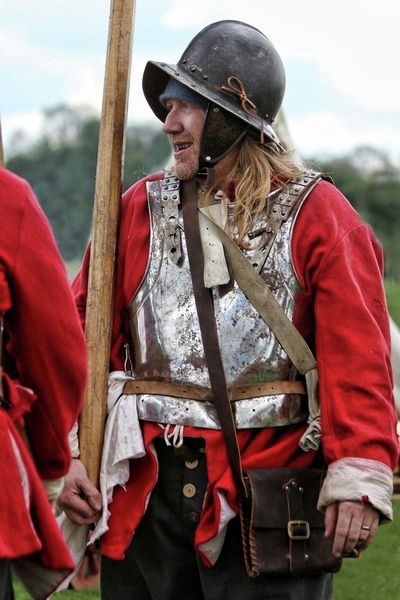 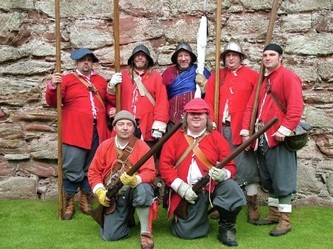 We have also been mentioned on the website of our good friends the Naseby Battlefield Project.